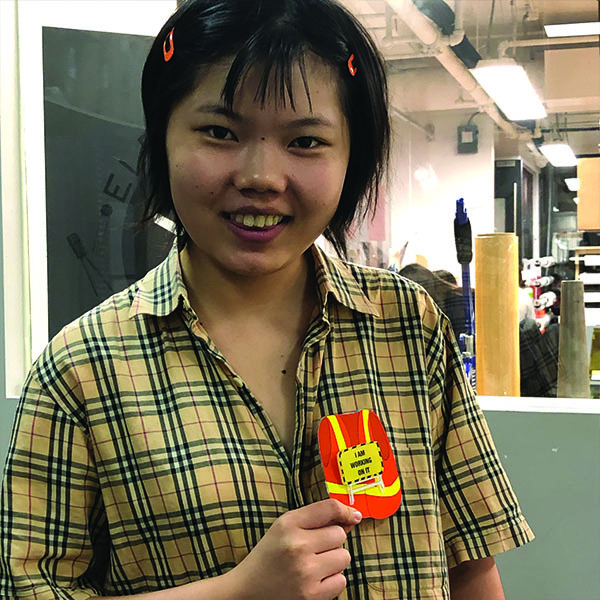 Yijing Wu of MFA Design is creating designs that 'Touch people's hearts'. Touching people’s hearts was the assignment that was given to her class and she is creating souvenirs for 'men at work', who dedicate their lives for the service of their city. The deadline of the assignment is this coming Tuesday (11/27/18), but she was racing to finish her assignment before Thanksgiving break.